But while going through my books, there was one book I held in my hands for a full thirty seconds before throwing it onto the give-away pile. Exactly ten years ago this week my first book, Expecting Miracles, was released. 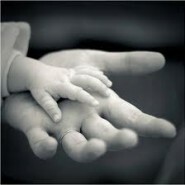 I have never felt so inspired about anything as I did when I was writing Expecting Miracles. And as soon as I turned it into my publisher 13 years ago, I was on a mission to get it into the hands of as many expectant mothers as possible. Ah ha! Just the book I needed! It was a Godsend, full of great marketing ideas to spread the news about my book. And among its many tips, there was a suggestion to start a website. At that point, I didn’t even have an email account. I didn’t even know how to look up a site on the internet. But I decided to give it a try. I spent six months working on the content for a website about Judaism and pregnancy, and then I hired a guy named Ezra to teach me the basics of setting up a really simple website. And then, thirteen years ago, JewishPregnancy.org was born. Which expanded a few years ago into JewishMOM.com. B”H, today JewishMOM.com receives close to 100,000 visits from JewishMOMs a month. It’s also one of the main sources of joy and fulfillment in my life. And it all started with that bright yellow paperback I found in Kingston, Ontario one summer thirteen years ago. Over the last few days, friends have been coming by to take books. And we brought a bunch to a friend with a bookstore-cafe. But the rest, about 70 books, we put out on the street yesterday to be taken by passersby. And the funny thing was, when I left my house at 8 AM this morning, there was only one book left. 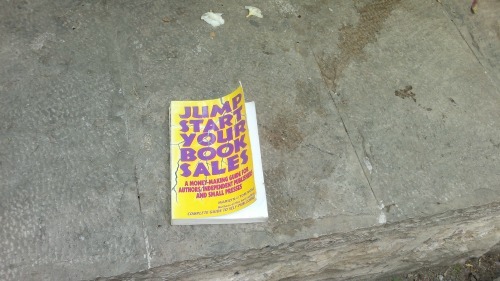 The most precious book in the entire pile had been considered worthless by hundreds of passersby. My husband’s siblings were gracious enough. They politely wished us b’shaah tova and waited until we were out of earshot before they reacted. My own siblings were less inhibited. One expressed shock, one heartfelt concern, one scorn, and the other burst out laughing and told me to start looking into purchasing a school bus. The only one who was genuinely happy for me was my dear, dear baby sister, whose own [six-year] journey toward motherhood was so difficult. She took a deep breath, and with tears in her eyes said the most magical words I ever heard. I walked out, swaddled in the warmth of her words. Sometimes all it takes is for someone to point out what you already knew. Let the gossip continue. I have work to do at home. Lots of it. this was beautiful, chana jenny! thank you for pointing out that miracles are often so hidden that we fail to recognize them. every day that we can breathe, walk, daven, or use our brains is a miracle. being b’simcha, or living a life of joy, is attainable when we accustom ourselves to seeing the miracles of our everyday existence. 13 years ago, I was expecting my 2nd child, and I discovered your website. There are women I know in real life and on other forums who I connected with through your early internet explorations and I have since found that many of my friends also draw strength from JewishMom and your books. So now seems a great time to reflect with you and thank you from the bottom of my heart for the support you give both directly and by creating a supportive community. My family is richer because of it. May you go from strength to strength, regardless of your physical office space! I’m curious to know where you will be working now that you have given your office to your daughter? How do I gift wrap your blog if I want to give it as a gift to my daughters and daughters-in-law?? At our school people bring things in for others to use/keep that they no long need or have room for. I found your book -Expecting Miracles. It was so exciting and even though I am no longer in that stage of life found it fascinating and inspiring. (also wishing I could have been one of the people you interviewed!) Is there a ‘Goodwill’ type place to leave things near you?